Rooibos Ltd in Clanwilliam, Western Cape is a well-established company as well as reputable supplier of Rooibos and related products since 1954. They are also market leaders. Rooibos Ltd has a global market share of about 70% as well as a contracted farmer base of more than 200 rooibos tea farms. Quality assurance coupled with product development enjoy priority. The enterprise’s approach to business is believing in partnering with their clients as well as in building trusted relationships. 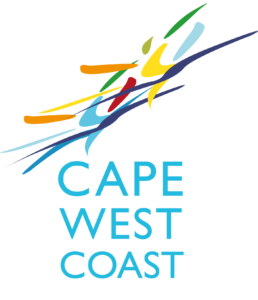 Their commitment is also to caring for the community and the environment. The extensive product range of Rooibos Ltd is of course designed to meet the specific needs of clients in the food industry. Also clients in the beverage, health care and cosmetics industry. It includes Rooibos, Green Rooibos, Honey-bush, herbal blends, flavoured teas and also powder extracts. They can supply most products in both conventional as well as organic form. 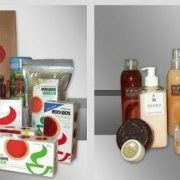 Their scope of services includes bulk packaging, blending, flavouring, contract packaging under private label as well as extraction. The product development is customised, meaning a wide range of products is developed in collaboration with Rooibos Limited’s local as well as international clients. Therefore they invite clients to discuss product development, thus to meet the ever-changing needs of consumers. Come directly and visit their Shop. Rooibos Bpk in Clanwilliam in die Wes-Kaap is al sedert 1954 in die Rooibos-besigheid. 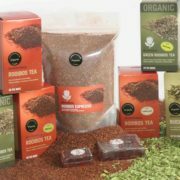 Hulle lewer produkte soos Rooibos, Groen Rooibos, heuningbos, kruiemengsels, gegeurde tee’s en so ook ekstrakte in poeiervorm. Rooibos Bpk se produkte word plaaslik en so ook internasionaal verkoop aan kliënte in die kos-, drank-, gesondheidsorg- en so ook die kosmetiese industrieë.